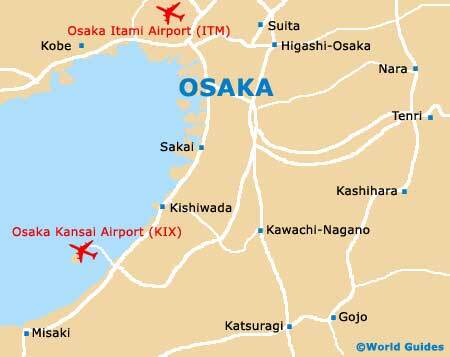 There are numerous places to stay both in and around the city of Osaka, with the centrally located Kita and Minami areas boasting a particularly good selection of hotels. Nearby and around a 40-minute train ride away, the city of Kyoto is within easy reach of Osaka and offers a larger selection of budget accommodation, although if you are intending to partake of Osaka's thriving night-time scene, you are best advised to choose hotels within the very heart of the city. If price is a major factor of where you choose to stay in Osaka, then capsule hotels offer compact, men-only accommodation suiting even the smallest of budgets. The New Japan Sauna and Capsule Hotel is one of the most popular of this type of capsule accommodation and can be found in the bustling Kita entertainment district. The Osaka Shiritsu Nagai Youth Hostel is another good option for budget travellers and is the closest hostel to the city centre, being located along Nagai-koen. Private family rooms are available at this hostel, while another popular choice is the Osaka-fu Hattori Ryokuchi Youth Hostel on Hattori Ryokuchi, around 15 minutes from the Kita district. 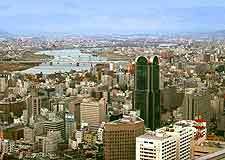 For mid-range hotels in Osaka, the best offerings lie to the south of the train station and again around both the Kira and Minami districts, with popular choices including the Umeda OS Hotel, the Hotel Sunroute Umeda, the Hotel Green Plaza Osaka and also the Hotel Riva Nankai. Close to Osaka Station are two of the city's most highly acclaimed hotels, the Ritz Carlton and also the Hilton, both of which boast an excellent quality of accommodation, together with fine dining. Osaka's central business district lies on the northern side of the Umeda area and contains many high-rise corporate and international hotels, together with a huge array of karaoke bars. For kitsch and colourful love hotels and plenty of nightlife, both the Doyama-cho quarter and the Tanimachi-suji areas will not disappoint.